I'd love to go back in time and see certain films on the big screen when they were released, this feature is definitely on that list. I once had a conversation in a pub many years ago with a fellow Horror fan who highly recommended I watch this feature as I had never heard of it at the time, he certainly pointed me in the right direction as this feature has become one of my personal favourites. Apparently Alfred Hitchcock turned down the chance to direct this film, as much as I love it I can't help but wonder what he would've done differently. Also Bette Davis expressed an interest, but director Mervyn LeRoy insisted on casting Nancy Kelly, who had originated the role on stage. Warner Brothers production notes for the film reported that three endings were shot. Allegedly the end of the film was kept secret and the last five pages of the script were not distributed until ready to shoot, I'd love to have known what these other endings were. I do know that the films original ending (the film was originally a broadway play) had to be changed due to the Motion Picture Production Code that was in effect at the time, it just goes to show how times have changed, the original ending would be tame by today's standards. 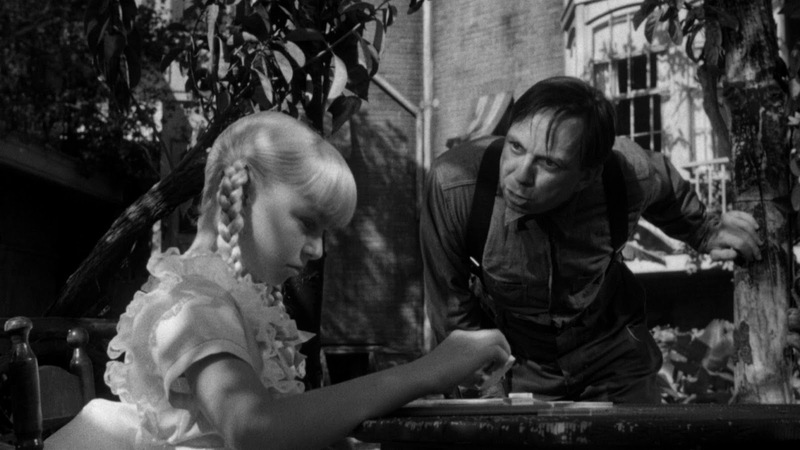 "The Bad Seed" is a true classic, not just Horror, that needs to be seen, be sure to stick it to your 'to watch' list. The book Rhoda claims to have won in Sunday School, "Elsie Dinsmore," was a story with religious themes about a pious eight-year-old who, in sharp contrast to Rhoda, was obedient to her elders to an alarming point, even enduring verbal abuse from a nasty parent. It was written by Martha Finley in 1867. Although stage actress Joan Croydon (Miss Fern) made a few television appearances, this was her only film appearance. The original Broadway production of "The Bad Seed" by Maxwell Anderson opened on December 8, 1954 and ran for 334 performances. 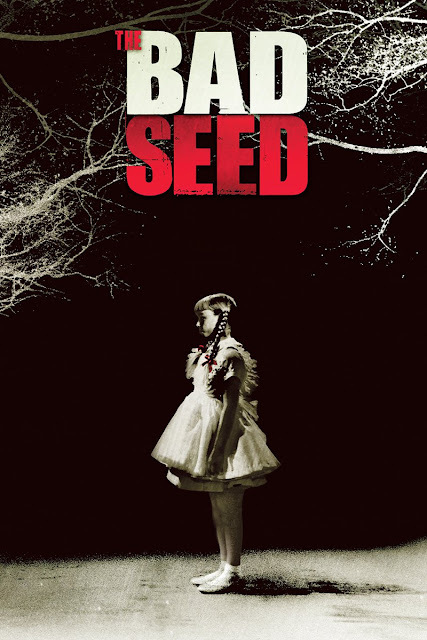 Nancy Kelly won the 1955 Tony Award for Actress in a Drama for "The Bad Seed" and recreated her role in the movie. Patty McCormack, Eileen Heckart, Evelyn Varden, Henry Jones and Joan Croydon also recreated their stage roles in the movie version. Henry Jones (LeRoy) also plays the radio announcer who reports the Fern School tragedy. Final film of Nancy Kelly. Despite earning an Oscar nomination for this film, she never made another theatrical movie, only focusing on TV projects. Billy Wilder wanted to direct a film version based on the successful play, but couldn't get permission from the Production Code Administration. They objected because in his version her crimes went unpunished. The piano piece that Rhoda plays and sings and is heard as a theme throughout the film is the traditional French children's song "Au Clair de la Lune". Rosalind Russell was originally considered for the role of Christine Penmark (played by Nancy Kelly), until the studio decided to go with the Broadway cast. Paul Henreid tried to buy the rights to the play. 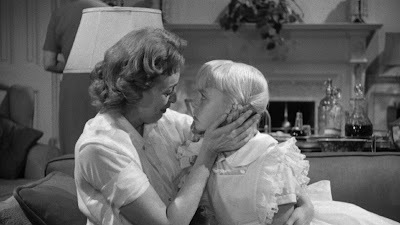 He wanted to direct and was planning to cast Bette Davis in the role of the mother. Eileen Heckart's two appearances in the movie come exactly one hour apart, at 00:36 and 01:36 in the film. Both appearances last exactly five minutes. Patty McCormack, who plays Rhoda in the film, was actually 10 at the time of shooting, two years older than the character she was playing.